Hollow Biscuits Mrs Bean Set 1 3/4 lb. of Flour with a little yeast to rise an hour then melt 4 oz of Butter and mix it well with the paste and let it stand an hour longer. 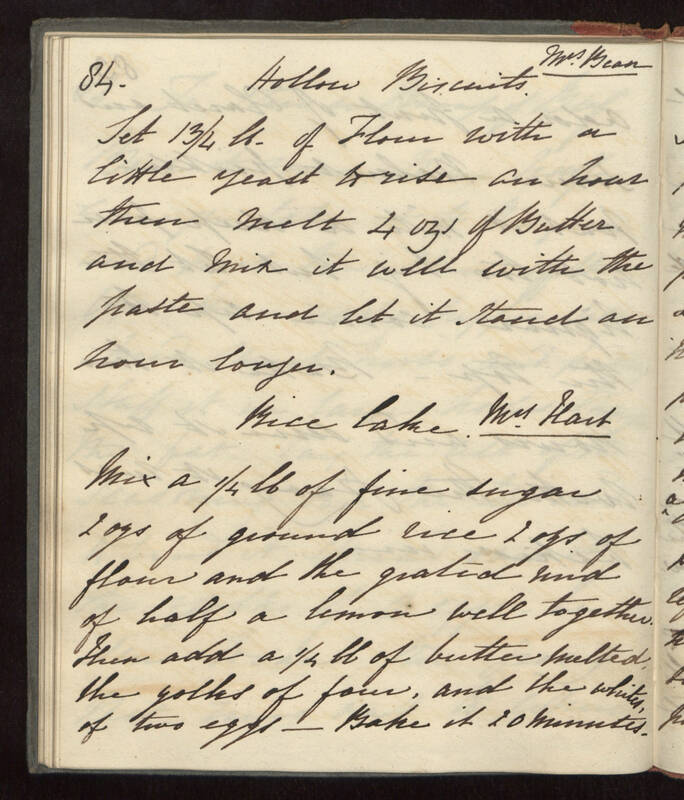 Rice Cake Mrs Hart Mix a 1/4 lb of fine sugar 2 ozs of ground rice 2 ozs of flour and the grated rind of half a lemon well together. Then add a 1/4 lb of butter melted, the yolks of four, and the whites of two eggs - Bake it 20 minutes.